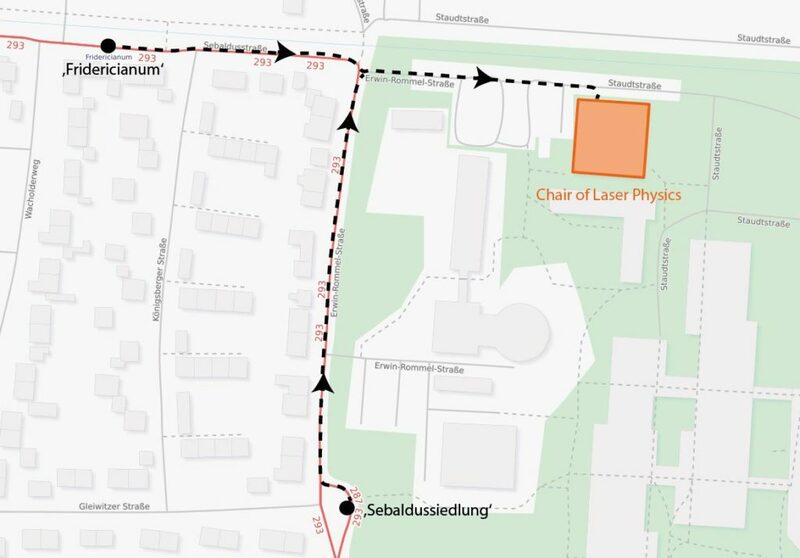 From all stops it is just a short walk to our institute (see map below). please visit http://www.vgn.de/en/home? as depending on day and time the connections vary. There you can search for connections from ‘Nürnberg, Flughafen’ to ‘Erlangen, Sebaldussiedlung’. From there it is just a short walk to our institute (see map below).